You are here: Home / Cat Facts & Fun / Why Is My Cat Sleeping So Much? Does your cat sleep all the time? 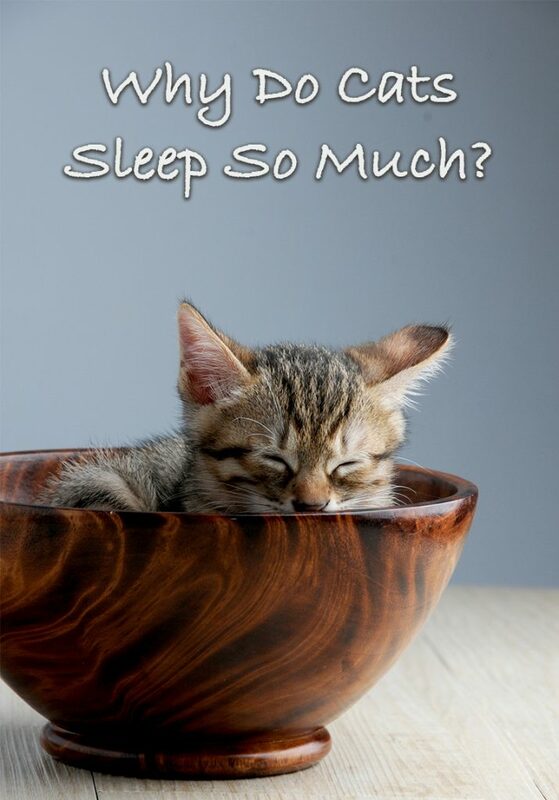 Are you worried that your snoozing moggy might be catching more zzz’s than are good for him. 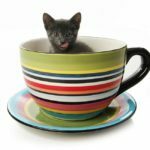 Professional cat behaviorist Clare Hemington answers that all important question – Why Is My Cat Sleeping So Much? The other morning, I received the following message from my friend Pauline. Concerning her recently acquired and very gorgeous cat ‘Big T’. “Last night I took Big T to bed. The image this conjured up made me wonder just how many of us cat owners find ourselves lying awake in the middle of the night. Asking ourselves why it is we’ve allowed our relatively small sleeping cat to take over virtually our entire bed. Whilst we lie stiffly on the edge unwilling to disturb our little furry darling? Or why, when our cat decides that 4am is the perfect time to wake us up for food and play, we acquiesce to his demands? There’s no doubt that one of the things that all cats have in common is an uncanny ability to wrap us around their paws. Whether they’re asleep or awake. However, there is another trait they all share, and that is the actual amount of sleep they indulge in, which is almost always a lot! 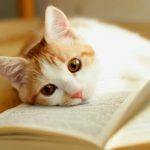 In this article, we’ll look at why cats spend so much time sleeping and why this might be different for kittens and elderly cats. What the location and position they choose to sleep in tells us about how they feel, from both a physical and emotional perspective. And why they might not actually be sleeping when we think they are. Cats are natural predators, and even the most adorable, gentle, fluff ball has the potential to turn into a savage wild beast at the sight of a mouse! 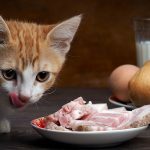 It’s these predatory instincts that provide the motivation for cats to spend a lot of time engaged in foraging, chasing and hunting activities. All of which require a great deal of energy. Less obviously, and mainly due to their size, cats are also considered to be prey. This means they need be alert and ready to protect themselves from any threat to their survival each time they go out. It’s for these reasons that they conserve energy by sleeping as much as possible, so they have fully charged batteries when they go into battle. It’s also important to bear in mind that when we see a cat sleeping, most of the time he is in fact resting or only lightly asleep. To answer the question of why is my cat sleeping so much, you first need to look at how many hours do cats sleep each day? On average adult cats can spend between eleven and sixteen hours a day. Either resting or asleep, that’s up to two thirds of each day! According to one study this compares with only three and a half hours spent hunting and less than an hour each on grooming, travelling, eating and hiding. However, as already mentioned, much of this sleep is light in nature. Cats do engage in deep sleep (known as Rapid Eye Movement sleep – REM) but usually just for short periods of approximately ten to fifteen minutes. Young kittens sleep for longer and more deeply, whilst elderly cats may also snooze for longer, but their sleep may be more broken. There are other factors that may influence how long a cat spends asleep. Such as whether he is an indoor or outdoor cat, whether there is a threat in his environment that’s making him excessively vigilant, or it’s even possible he could be in pain. Just like us, if cats are denied sleep or are forced to stay awake for extended periods of time, they can become irritable and even ill.
How Long do Kittens Sleep? There can surely be no sweeter sight than a kitten sleeping, which is just as well because up to 90% of a new-born kitten’s day is spent sleeping. And unlike adult cats, a higher proportion of this will be deep (REM) sleep. This amount of sleep is vital as it helps to promote proper development of the brain, body, nervous system and immune function. As kittens grow, the amount of deep sleep they need gradually decreases until it reaches the levels required by an adult cat. How Long do Old Cats Sleep? As with us humans, older cats also tend to nod off more when they reach their senior years. However, the quality of their sleep isn’t so good. It is usually lighter and more fragmented than when they were younger. They may decide to change their preferred sleeping location, gravitating to places that don’t involve climbing stairs. Your cat might also choose to kip lower to the ground to avoid any jumping that might be painful for their joints. Altered sleep patterns in elderly cats could also be a sign of a decline in their cognitive function. Let’s talk about cat sleeping patterns. How often do cats sleep? All cats are ‘crepuscular’ (derived from the Latin word meaning ‘twilight’). This means that they are naturally at their most active at dawn and dusk and during the hours of darkness. The ongoing process of feline domestication however, means that some of our cats have adjusted to a sleep/wake cycle that is more in sync with our own, whilst others haven’t. This is borne out by the results of one study8 which showed that 60% of owners are regularly woken up by their cats at some point during the night or at dawn. These cats are undoubtedly frustrated in their inability to exercise when their bodies are at their most receptive and one manifestation of this frustration may be very loud, repetitive meowing. In fact, I often wish I’d been given a dollar for every owner who’s told me that their cat wakes them up during the night! Without realizing it, we owners often do the same thing to our sleeping kitty. He looks so cute that we just can’t resist giving him a big old kiss or tickle under the chin. If you’ve ever done this while your cat is sleeping on your lap, you’ll be aware of the possible consequences! He is likely to be disoriented and his survival instincts will kick in. Under these circumstances, you may find that he reacts towards you in the same way as he would any perceived threat ie with teeth and claws! However, if allowed to wake up naturally, your cat will usually have a nice stretch of his back legs and might then stretch out his back and shoulders by scratching whatever object happens to be closest. For this reason, it’s a good idea to have a scratching post near to your cat’s preferred sleeping area. You might think that a cat sleeping face down would be a very uncomfortable position. But a quick search on the internet will reveal some of the unfathomable positions cats can contort themselves into whilst sleeping. These aside however, there are a number of more commonly adopted positions used by cats for resting and sleeping. When a sleeping kitten lies on his back with his abdomen exposed and (usually) all four limbs stretched out, this is called Dorsal Recumbency and means that the cat is very relaxed! However, being both predator and prey this is a very vulnerable position for him and one he will maintain for only short periods. If you see your cat either lying stretched out on his side, or curled into a circle, this is known as Lateral Recumbency. To some extent which of these positions he adopts is due to the environmental temperature. 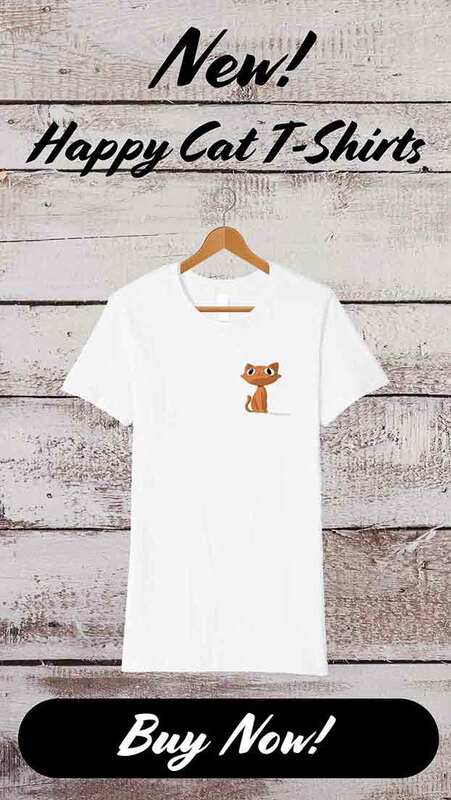 The colder he is, the more likely he is to curl up tightly with his head and paws tucked under his body around which his tail will be wrapped. All four tucked under the body with the bottom of the feet either touching the surface (ready to pounce!) or folded towards one another (more relaxed). Front legs either tucked under or stretched forwards and back legs extended to one side (relaxed). All four limbs extended, back legs to one side (relaxed). are positioned much like those of a normal standing cat. How many of you have excitedly bought a super-luxurious bespoke bed for your cat only to find that he rejects it in favor of the box it came in? Cats are notoriously capricious when it comes to their sleeping arrangements. You imagined your cat sleeping bed, but he had another plan. For many, where they choose to sleep depends on their mood and the time of day. You’ll have a better chance of succeeding in getting your cat to sleep in the location you want him to if you apply the following criteria. The bed should be somewhere private, away from danger, noise and general hub-bub. And if it’s raised off the ground this will increase his sense of security. It’s also a good idea not to place it near his litter tray. No one likes sleeping next to a toilet! You might have noticed that warmth is a big deal for cats, so the bed should be in a warm place and definitely free from draughts. If you go one step further and provide him with a low voltage heated bed it’s likely he’ll sleep wherever you put it! Or you could try a radiator hammock – let’s face it, how many of us have wished for a human-sized version of one of these?! One of the reasons why your cat likes sleeping in your bed is because it provides the reassuring scent of you. If you want to replicate this in a cat bed you could try wearing an old jumper then placing it in your cat’s bed. And whilst we’re on this subject, it’s a good idea not to wash your cat’s bedding too often as this will remove the scent that helps them feel safe. Where Is Your Cat Most Relaxed? Where a cat sleeps can also help us identify where their core area is. This is usually the place in your house where your cat feels most relaxed. If he is friendly with another cat in the household, he may well feel happy about sharing this area and even his bed with them. They might even curl up together. My two cats would entwine themselves to such an extent that I often found it difficult to tell where one began and the other ended! However, don’t be fooled into thinking that just because your cats are sleeping on the same bed that they’re necessarily the best of chums. If the cats are widely separated it’s possible that what looks like purrfect harmony may be just a case of them lying there with gritted teeth, not wanting to give up a highly-prized sleeping area. Alternatively, if they are a fine-coated breed such as the Siamese, they may just be using the other cat for warmth! What all this means is that it’s very important for us provide our cats with dedicated areas to sleep that aren’t necessarily expensively bought items. But instead are private, off the ground, warm and provided in enough numbers so as to avoid competition. And speaking of privacy, it’s good practice not to wake up our sleeping cats and kittens after all, we don’t like it when they do it to us! Why Does My Cat Sleep on Me or Next to Me? Cats are very different and their sleeping habits are as individual as they are. Some like to curl up on their owner’s lap. Those who want less full-on contact may just have their paws in contact with their owners. Whilst others feel more comfortable in a more private location. Such as in a wardrobe, airing cupboard or under the bed. If your cat regularly (and with no coaxing) jumps onto your lap and falls asleep, you’re one of the lucky ones! Of course, your body heat is one of the things that your cat finds attractive about you. But it’s also likely that your cat is socially bonded with you. And feels safe when he’s on or near you. There are certain circumstances under which a cat will ‘feign’ sleep. One of these is stress. Have you ever seen a cat in a Breed Show? One that looks like he’s sleeping in his litter tray? He’s probably not asleep. Instead he is using this pretence as a coping strategy. Helping him to deal with what’s going on around him. The choice of litter tray as a makeshift hiding place may well be because it has solid sides which, as far as he’s concerned, create more of a protective barrier. In the home, feigning sleep is one of a number of behaviors that may be performed by a cat that is chronically anxious cat. Others include hypervigilance, hiding, and eating more or eating less. A cat might also pretend to be asleep to avoid confrontation with another household cat. He will usually have his eyes closed and look as if he’s sleeping. But his posture will be tense and his ears may be twitching. Rather than feign sleep, some cats will over-sleep. An example of this is indoor cats that are not sufficiently challenged by their environment. These cats are unable to perform their natural hunting and exploring behaviors. They might fill this void by sleeping more. 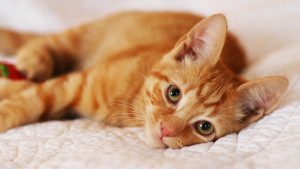 Whilst changes in your cat’s sleep pattern may be sign of an emotional problem, they could also indicate a health issue. Especially if accompanied by other behavior changes that are not part of your cat’s usual repertoire. 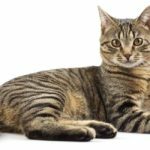 A cat sleeping differently may be indicative of some level of pain, although this doesn’t mean to say that this is always going to be the case. A cat sleeping a lot may be also one of a number of clues that indicate sight or hearing loss. This is particularly relevant for elderly cats. Cats and humans share many of the same sleeping habits, but is dreaming one of them? The answer is yes. Research shows that all mammals dream. And that this is most likely to happen during the deep (REM) phase of sleep. This is when information and experiences your cat has gained during the day is being processed. You may see your cat twitching his ears, whiskers, paws and tail and chattering. He may also be very difficult to wake up. So, aside from the snoring, kicking and pillow pinching? Experienced by Pauline with her cat Big T, and no doubt many other cat owners. There really is more to our cats’ sleeping habits than meets the eye! 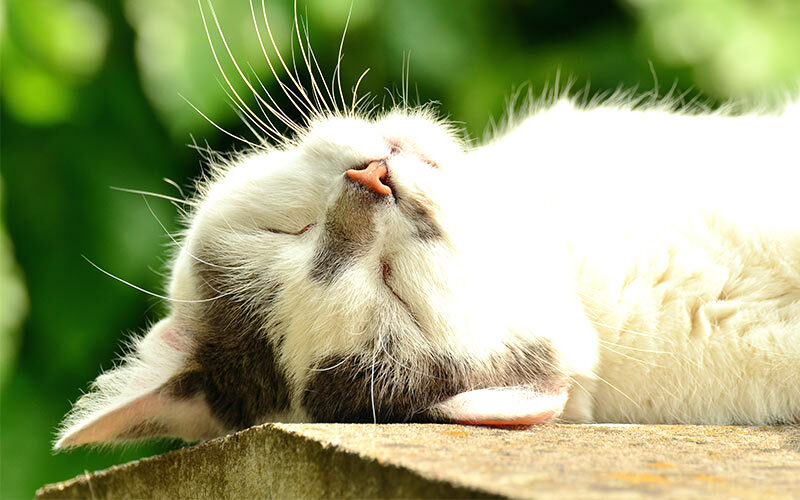 There are lots of possible reasons your cat is sleeping so much. But most of them are not a cause for concern. The time to visit your vet is when your cat’s sleeping habits suddenly change. If you have a cat sleeping more than usual, then it’s time to have a chat with a professional just to be on the safe side. Manteca 2002 in Domestic Animal Behaviour and Welfare 4th Edition. By Broom D.M and Fraser A.F. Panaman R. Behaviour and Ecology of Free-ranging female Farm Cats Felis catus L.). Z. Tierpsychol. 1981. Bowersox SS Baker TL; Dement WC: Sleep-wakefulness patterns in the aged cat. 1984. Vogel GW: A review of REM sleep deprivation. 1975. Broom D.M and Fraser A.F. Domestic Animal Behaviour and Welfare 4th Edition. Hendricks JC; Morrison AR: Normal and Abnormal Sleep in Mammals. 1981. The Whiskas® Big Cat, Little Cat Report 2013. Dr Sarah Ellis, Helen Zulch and Jenna Kiddie, University of Lincoln. Cat Behaviour Described. 2010. Burton M: The sixth sense of animals. 1973. Isabella Merola, Daniel S. Mills. Behavioural Expression of Pain in Cats 2016. Wilson M. Neuron Journal. January 2001. We don’t have a pet cat but there is always this cat who keeps on sleeping on our kitchen floor. They look so cute sleeping and now I know why they sleep so much. Now I know why my cat sleeps too much. I learned a lot from the post. Thanks for sharing! And I always wonder why both my dog and cat just sleep all day! Sometimes it’s bit worry but I think you cleared that for me – thanks!